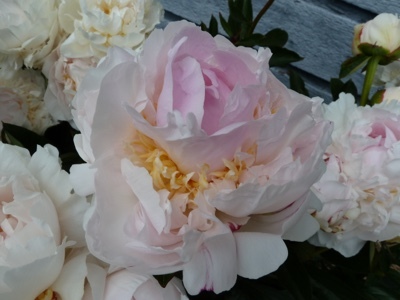 My Home and Garden: Our very old perfect peony has a name! I have been in love with the peony that our next door neighbours had for decades. Almost four actually. Then we bought the house. When I had Mark excavate the whole back yard for the vegetable garden, I had him work around the peony. These are the first flowers on our 'new' peony. Aren't they beautiful...oh and the smell. Yummm. I have called it the Ogilvie Peony all these years. The first owners of the house who planted it were the Ogilvies. 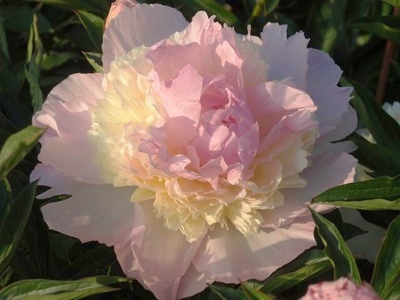 Recently I changed that to Middlebrook Farm Peony. I do, however, believe it could be Raspberry Sundae. What do you think? These pictures were taken on a sunnier day than mine were, but the colours are identical. Lovely! 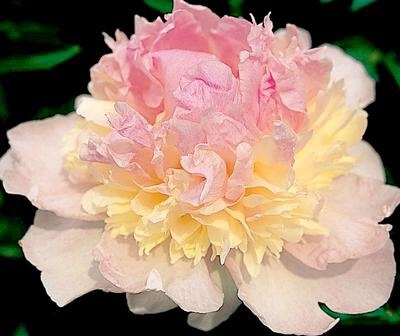 I love the colours in your peony. I beat it smells heavenly! 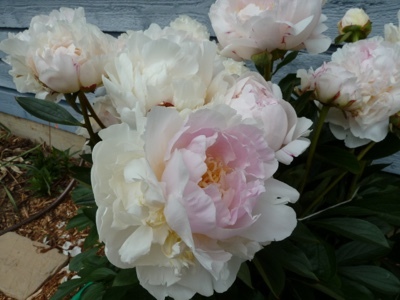 My Sarah Bernhart peonies are blooming and look similar to yours, perhaps just a little paler. I left my link with my name so you can compare.